Jordan has reportedly asked Washington to deploy two Patriot missile batteries on its 360-km long border with Syria for protection against incoming missile strikes. Unnamed Jordanian sources tell the leading Saudi daily Asharq Alawsat King Abdullah made the request to visiting U.S. President Barack Obama during their March 22 talks in Amman. 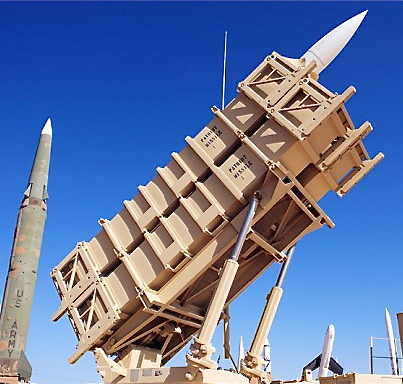 The sources say the monarch’s request received a favorable response and two Patriot systems currently online in Kuwait and Qatar will be deployed to Jordan in the coming weeks. The final of six Patriot missile batteries deployed to Turkey was declared operational under NATO command and control in mid-February. In total this year, Germany, the Netherlands and the United States provided two batteries each to augment Turkey’s defenses along its along its 900-kilometer frontier with Syria. News of the purported Patriots for Jordan comes within 24 hours of remarks by Syrian President Bashar al-Assad in Damascus and U.S. Defense Secretary Chuck Hagel in Washington. Assad warned the crisis in his country could spill over to the Hashemite Kingdom while Hagel told a Senate hearing 200 intelligence, logistics and operations specialists from the U.S. Army's 1st Armored Division were being sent to Jordan to help contain the Syria violence. In his hour-long interview with official al-Ikhbariya TV channel, Assad said, “I cannot believe hundreds (of rebels) are entering Syria with their weapons while Jordan is capable of arresting any single person with a light weapon for going to resist in Palestine. Hagel flies to the Middle East tomorrow, Saturday, to meet with leaders from Jordan, Israel, Egypt, Saudi Arabia and the UAE. He told the Senate hearing the Pentagon was sending a new Army headquarters to replace an ad hoc organization established last year to help the Jordanian military cope with Syrian refugees, prepare for the possible use of poison gas and provide command and control for “stability operations,” presumably in a post-Assad Syria. Slightly more than 200 troops would be involved. Separately, the Beirut daily al-Akhbar, which is close to Assad, Hezbollah and Iran, reveals in its front-page lead today that two Assad emissaries specifically asked Amman of late to stop the flow of rebels and arms to Syria across its borders. The paper names the two Assad representatives as Syria's Deputy Foreign Minister Faisal al-Mekdad and its National Security Bureau chief Ali Mamlouk. It says Mekdad travelled Jan. 31 to Amman, where he conferred with his opposite number Nasser Judeh and the Director of Office of King Abdullah, Imad Fakhoury. Mamlouk’s follow through secret trip to Amman took place on March 17, when Jordan’s intelligence chief Lt. Gen. Faisal al-Shobaki reiterated the denial. Labels: Ali Mamlouk, Assad, Chuck Hagel, Faisal al-Mekdad, Faisal al-Shobaki, Imad Fakhoury, Jordan, King Abdullah, Nasser Joudeh, Obama, Patriots, Syria, Turkey, U.S.